Fourteen years ago today at 8:49 pm my beautiful, baby girl was born. On this day I learned what true unconditional love is all about. I remember every moment of this day from the time I went into labor until I delivered this beautiful baby, but I’ll spare you all the gory details. I remember looking into those big blue eyes when I held her for the first time, thinking this is the miracle of life. I was blessed to share this moment with my husband and of course all the medical staff in the room. Both our families were outside waiting to see her and they got their first glimpse when I was wheeled out of the delivery room with this perfect baby on my chest. She was alert and looking around at everything, ready to face the world. I can’t believe it has been fourteen years and that my baby has grown into a beautiful although sometimes difficult teenager. 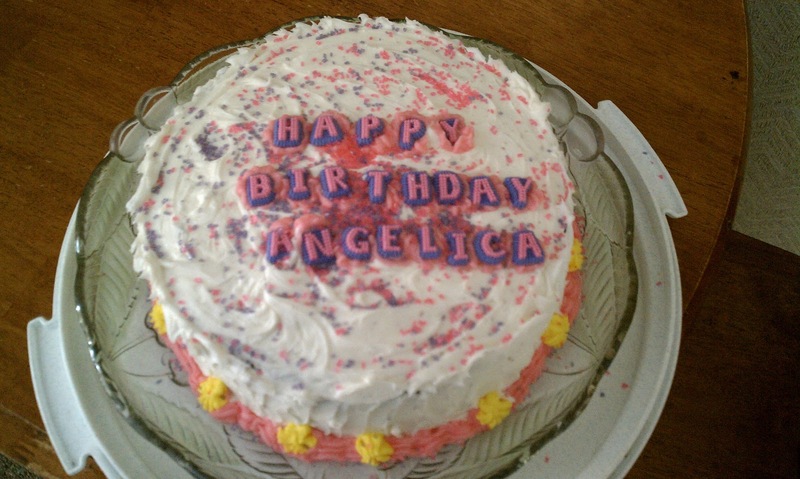 A beautiful cake baked by her Aunt and decorated by her baby sister!